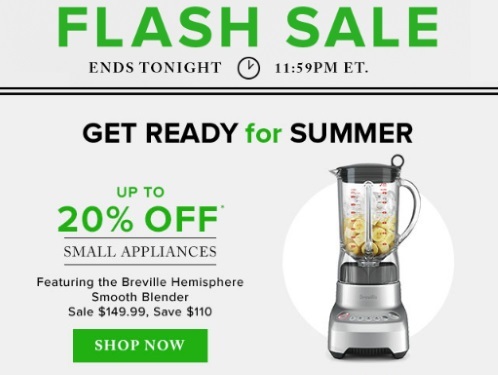 Hudson's Bay has lots of flash sales today! Save 25% off select Women's swimwear, up to 20% off small appliances, up to 40% off patio items! Also get an extra 10% off these deals with the promo code FLASH. Offer is valid online only until 11:59pm ET on May 15, 2017.